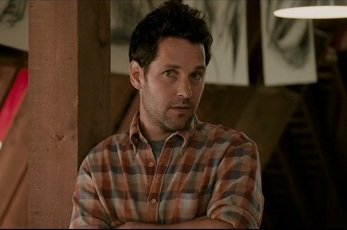 The way I happened across this Tina Fey-Paul Rudd romantic comedy about a Princeton admissions officer whose life turns upside down after the baby she gave up for adoption nineteen years ago reappears as a flaky, alternative undergrad applicant, was by comic mishap itself. I had gone to the movies planning to see the 3D re-release of Jurassic Park, but was handed a ticket for the wrong theater. Rather than rudely walking out when the mistake became apparent, I figured I’d give it a few minutes and make my exit when Admission became too intolerable and the audience too absorbed in proceedings to notice the departure. But fate works in mysterious ways. Once the movie had wrapped I found myself not only having forgotten about T-Rex, but wishing Hollywood had been overrun by a herd of Tina Fey. Adapted by Karen Croner from Jean Hanff Korelitz’s novel, Admission is about a mother who takes desperate measures, proving no high crime beneath her, to get her son accepted into the Ivy League. It is a (slightly) more adult variation on such sophomoric comedies as Accepted, How High and Orange County which also featured Lily Tomlin and starred Colin Hanks, Hollywood’s own version of legacy (he’s Tom Hanks’ son). In sentiment Admission shares an affinity with such counter culture comedies as The Paper Chase, where kids were practically killing themselves to hack it in college. A comedy about being admitted to an institution of higher learning should be intellectually stimulating on some level itself, and happily Admission, while succumbing to some unfortunate romcom clichés, has been cleverly written for the most part. Director Paul Weitz pulled out of Hugh Grant one of his finest performances over a decade ago in About a Boy and he shows a similar knack in Admission for tapping into the comic absurdity of grownups who behave like children. Admission begins with a similar premise, in which a self-absorbed adult is confronted with the unexpected responsibility of a child whose presence serves to bring out their finer qualities. Fay’s Portia Nathan is a workaholic married to her job who responds to the question of whether she has kids with a curt ‘no,’ then quickly recovering herself, follows up with that patented line from Goodbye, Mr. Chips, “Yes, hundreds.” She considers all the kids whose Princeton applications she rifles through (and predominantly rejects) as her metaphorical ‘children,’ stand ins for the child she ‘rejected’ by giving up for adoption when she was still a teenager. Jeremiah’s unexpected reappearance in her life allows her to stop using his fellow applicants as proxy. Much amusement is initially derived from mocking Portia’s woeful lack of mothering instinct. This precise, punctual perfectionist is so unmaternal she can’t even keep a plant alive, killing her bonsai through over watering and pruning (she couldn’t leave it be) which makes us suspect she’s correct to consider herself unprepared for parenthood. She likewise makes a mess of babysitting her neighbor’s kids, and the pregnancy of her former lover’s mistress (twins to double the insult), is a blatant affront to her own barrenness. After her grown son shows up however, Portia’s biological clock starts ticking away like a time bomb. As in Baby Mama, the movie she made with Golden Globes co-host Amy Poehler, she goes gaga over the goo-goos, and it’s hilarious watching her spontaneously start commiserating with fellow mothers she runs across in the street, on campus, even horrified strangers in the supermarket. It’s as if discovering she has a college age son suddenly imbued her with profound wisdom and insight she can share with other women. She wants into the babysitter’s club as badly as Jeremiah wants into Princeton. It’s the parents here who are looking for kids to fill their emotional void, far more so than their adopted kids are looking for parents to complete them. Like so many other movies of recent vintage, Admission wants to stress the fact that in our increasingly diverse society, families are what you make them, that the old nuclear model no longer applies. Paul Rudd’s John Pressman worries that he’s a failure as a father because his own adopted son Nelson (Travaris Spears) seems to be rejecting all the solid values he’s trying to instill in him, growing into the opposite of the man he wanted him to be. If Pressman weren’t such an overgrown kid himself, he’d know that the last thing in the world children want is to be like their parents. It’s the reason why John himself has turned his back on the privileged lifestyle he was born into and his society mother still tastelessly flaunts. Portia’s similar determination to reject everything her militantly feminist, aging hippie mother represents is the primary reason she has grown into such a conservative stuffed shirt. She’s become a button down endorser of the status quo, a walking doormat for men and a tool of the man, just to stick it to her stridently independent, anti-establishment mom played by Lily Tomlin. Living alone in the woods like the crazy witch her daughter calls her, Tomlin’s Susannah has erected her own walls to deny others admission. She maintains a Spartan existence in an attempt to live by the creed she foists upon Portia, concerning women being self-sufficient and not needing to rely on anyone, which has resulted in her becoming a hermetically sealed hermit. Portia’s mother is so committed to being autonomous, proving capable of taking care of herself, she doesn’t want anything or anyone dependent on her, not her daughter, not even her pets, who she refuses to feed, under the assumption that keeping them lean and mean will encourage them to fend for themselves. She’s so resolutely non-conformist, she insists her daughter call her by her first name so as not to encourage the traditional mother-daughter paradigm. This is the finest big screen showcase Tomlin has had in years, but for some reason the director undermines the comedian, with her long, lorn, equine features, by permitting her to look loco when she stops Portia’s departing car to make her own distraught admission at the end. And for all its pro-feminist agit-prop (or because of it?) the movie seems to have it in for the female bosom, telling us Susannah received a double mastectomy then making funny by showing her slipping padding to be uneven and droopy. Later Portia, upon learning that her lover is leaving her for another woman, tries to maintain her poise at a party, while working out her rage skewering the chicken breasts she’s serving guests. Her feminist mother never bothered marrying Portia’s father because she didn’t consider a man a necessity in a woman’s life in order to have a family. But the emotional lack Portia felt growing up in large part is what influenced her against similarly trying to raise a child on her own. It’s also why as an adult she remains so eager for men’s acceptance. Wondering about the father she never knew, Portia muses “maybe he’s president, well… obviously not that…” This woman named after Shakespeare’s Portia for her intelligence has, as her mother points out, never valued herself highly enough or striven to reach her full potential. She attended Dartmouth instead of Princeton herself, and works as a lowly Admissions Officer rather than an esteemed instructor at this bastion of intellectualism. Surrounded by tenured professors and woolly headed academics, she’s never tried asserting her own intelligence in any serviceable capacity despite the setting. And Portia’s a pushover for Michael Sheen’s shameless Mark, with whom she’s been living for years without ever insisting he make the sort of commitment that Virginia Woolf scholar he takes up with unequivocally demands. The movie derives too much enjoyment from debasing its hapless heroine, subjecting Portia to one humiliation after another in the same way Baby Boom did Diane Keaton, and usually in the vicinity of the worthless Mark, who keeps popping up at the most inopportune moments to rub in the way her life’s falling apart without him. Anything that can go wrong does, and the movie starts feeling more uncomfortably masochistic than amusing. We keep waiting to see Portia stick it to her lout of a lover the same way she did those chicken breasts, but it’s all in vain. When he treats her like a dog (literally! ), patting her head and commenting on how she’s man’s best friend, we’re meant to laugh at what a mockery she’s permitting him to make of her, so as not to make waves. But then the director himself turns around and draws a comparison between Portia and the pregnant cow whose calf she helps Pressman deliver, leaving us wondering what precisely is going on here. Much of the movie’s humor is derived from mussing up this straight-laced professional, placing Portia in situations where her ordered perfectionism is forced to give sway to the disheveled demands of life’s organized chaos. And as is typical of such movies, the uptight, high strung careerist is mellowed out by making love. Portia is practically panting for some man to stroll along and sexually fulfill her. When one finally does, in the form of Pressman’s existential, alternative teacher however, Portia’s arch, intellectual pretentiousness causes her to suppress her more physical longings and rebuff him for taking advantage of the fact that she’s on the rebound. But Freudian slips give her away as baldly as discarded banana peels. She complements Pressman (sort of) by telling him he has a nice nose on his face before missing the friendly peck she aims for his cheek, the kiss suddenly veering off in an alarming southward direction and landing square on his lips. Rudd can, depending on the role, make his fuddy duddy dullardliness seem original and inspired, elevating unpromising slapstick like I Love You Man into pure comic gold. As the bemused do-gooder of Admission, he could best be described as a non-distracting presence. His bemused, man-of-the-people characterization is not unlike his politically involved, cause-committed Clueless character from way back when, only all grown up now and still wielding meritorious influence on the elitist woman in his life. He’s been given only a few inspired moments of lunacy however, one involving a ceramic horse statue he’d diligently carted with him through the Mongolian wastes, and the other with him playing mid-wife to that cow after watching one of those criminally simplified how-to videos on the net (we’ve all been there). We initially harbor reservations about Rudd’s being cast as Galahad after he lures Portia to his backwater collective and lets his kids treat her so cruelly, despite the valid points they raise (she defends herself impressively and deserves the standing ovation he gives her). But the revelation about Jeremiah at the end practically does the character in, making it seem as though Pressman had just been using Portia from the outset, stringing her along to get his protégé into Princeton. This revelation of Jeremiah’s true heritage cripples the comedy, leaving it limping to its conclusion. Not just because too many motivations in Admission are revealed to have hinged on a misconception but because it leads one to feel as if Portia had been used by Pressman (and Jeremiah), just as she was trying to move past the point where she’d allow herself to be dumped on by men like Mark. The heart and soul of the movie involves hidebound Portia progressively tearing down the emotional walls she’s erected around herself after Jeremiah’s application lands across her desk. 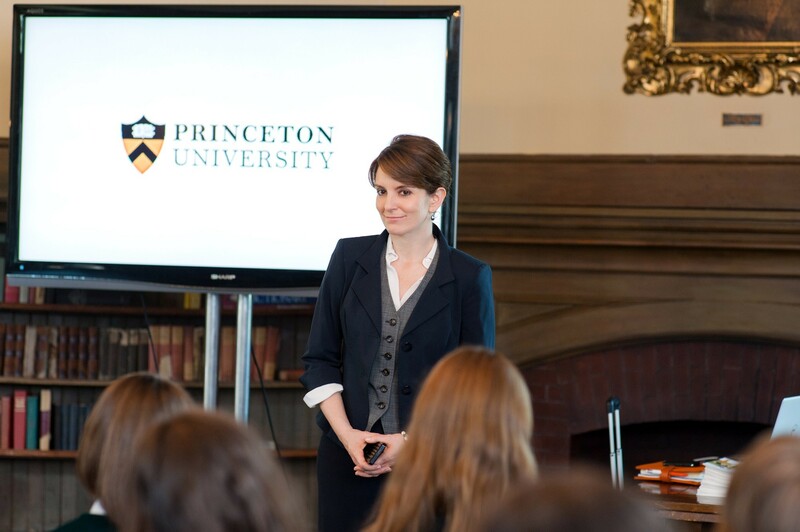 His request for admission to the highly selective Princeton inspires her to become more open and accepting herself. She starts dismantling her barbed defenses, while simultaneously questioning the Ivy League’s own unscalable edifice, the high hurdles Princeton has set in place in the interest of keeping out what it considers the riffraff, the wrong sort. Only the best and brightest are granted admittance to this sacrosanct sanctuary of scholarship. With its 8% admission rate the lowest in the country, undesirables are dropped through the trap door into oblivion. Portia’s office, while ostensibly dedicated to admissions, is instead completely sealed from the outside world. ‘No Access’ signs make it clear it’s off limits, for employees only. Portia herself totes around ‘Do Not Disturb’ placards, hanging them on her door as if they expressed her personal mantra. 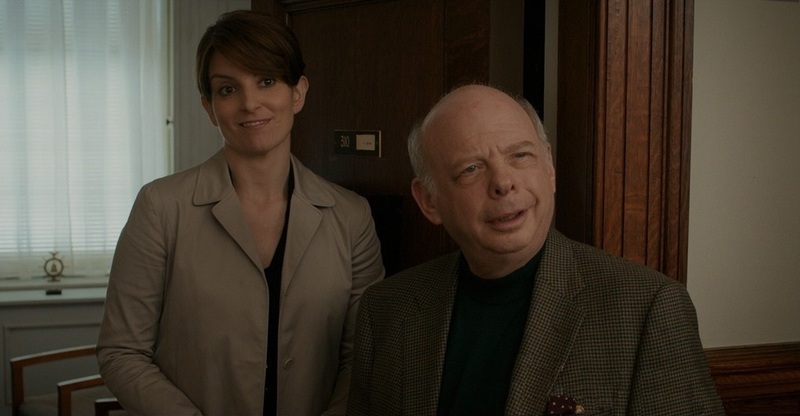 She even suggests to an ideally cast Wallace Shawn’s Dean of Admissions that they hire a guard to make security even tighter. She’s set up specific boundaries for herself in work and in life that are soon to be breached and her ordered, conventional world turned on its head. Eradicating her own marginalization by opening herself up becomes symptomatic of democratic due process, the sort such elitist institutions systematically sidestep with their unrealistic application screenings. The all-embracing Admission advocates breaking down these arbitrary, academically-imposed class barriers. But truth be told, Jeremiah’s mom has been at Princeton sixteen years so he gets past the gate for the same nepotistic reasons any rich son of an alumnus would. He’s her legacy and Admission’s script fails to clearly differentiate how Portia slipping him through the proper channels because she works on the inside is meant to be seen as morally superior to some worthless scion of the rich getting in because of his familial connections. All parents believe their kids are special but Portia is not fool enough to read great things into Jeremiah because of his autodidactism. She’s not helping him because she truly believes in his potential (despite Pressman’s recommendation, nothing Jeremiah shows us justifies such high regard so we can’t really believe in him either), but because she thinks he’s her son. 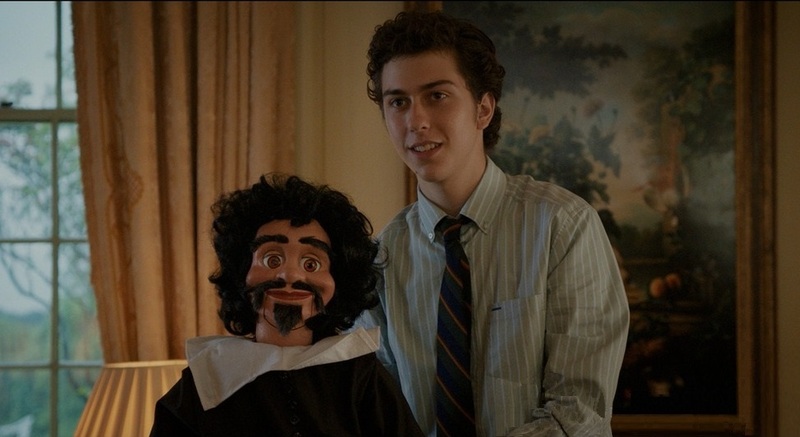 So much of the movie’s success hinges on actor Nat Wolff persuading us that Jeremiah is truly exceptional and gifted in all the unexpected ways that impressed mentor Pressman. But whatever the kid has never manages to come across on screen, so we must suspend our disbelief and accept that there’s something special about him that we’re just not seeing. Like those members of the admissions board whose died in the wool opinions his mother fails to change, Admission doesn’t effectively sway us either. So we fail to see why this slacker should get in, be given such a golden chance when many other kids have worked much harder for the opportunity. His autodidactism ends us being treated as a form of special privilege itself, worthy of handing him the keys to the kingdom. 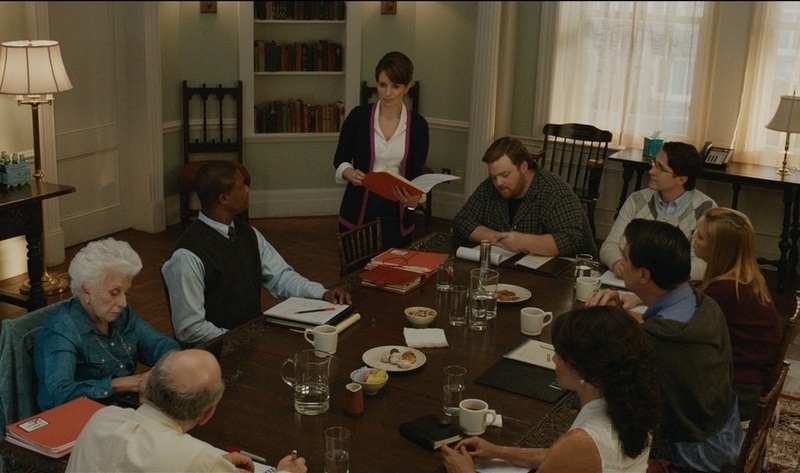 But if a nebbish like Jeremiah can’t get into Princeton on his own cognizance, how in the world did Jesse Eisenburg’s Steve Zuckerburg get into Harvard in The Social Network? Though the revelation at the end that mother and son are not related strains credibility and feels dramatically contrived, it purifies what Portia does, drains her actions of their own nepotistic taint. Since her attempt to get Jeremiah admitted ultimately proves futile, we’re left to assume the script has her going through the motions simply in order to open her eyes to the inequity that undermines admission to the Ivy League. It serves to draw her attention to the more insidious issue at hand here, namely that the institutionalized exclusionism of schools like Princeton goes against the grain of the all-inclusive democratic ideals on which this country was founded. Higher education has become the last acceptable stronghold of American elitism and it is a problem Portia, as an admissions officer is part of and serves to propagate. Working in her capacity places Portia in an impervious position. Playing judge, jury and executioner allows her to feel in total control, as though her past were safely behind her. Completely in charge behind that desk, she’s no longer the scared expectant mother living over a garage she recalls herself as being. It takes Portia’s life spinning out of control again for her to realize what being in such a position of power actually entails. “I’ve spent the last sixteen years passing judgment on kids who are a lot more together than I was at that age.” Asking what right she has to do so is really asking what right any admissions officer has to do so, and hence calling into question the admissions process itself. She may have no qualms about cavalierly rejecting kids who appear less than perfect on paper but it’s another story when the tables are turned and that selfsame criteria is leveled against her own son. Suddenly she sees what she’s put all those other poor expectant parents through year after year. Her criminal acts of desperation to get Jeremiah admitted become as absurd as the ones we saw applicants stooping to at the outset, when they offered up bribes and baked goods to try and worm their way into her good graces. Portia’s own devious ploys and subterfuges to get Jeremiah in provide the movie with some of its most amusing moments. Using the cant of female empowerment to appeal to her misanthropic co-worker’s megalomania, she forges a phony bond with Corinne, the arch rival she’s competing with for the deanship and who, as played by Gloria Reuben (far better at gleaming eyed wickedness than she was suffering nobly in Lincoln), recalls a young Rae Dawn Chong. Portia seems to be playing the game the hardest when she’s trying most to undermine it, so it’s something of a letdown when her well laid plans avail her nothing. Despite what she says to Pressman about parents considering their child’s acceptance into the Ivy League as the ultimate affirmation of their success at raising them, when the ball is in the other court, Portia can’t help taking it personally herself that the Admissions Office doesn’t believe her son good enough to get in. She too takes his rejection as a personal affront, a result of the fact that he’d had a hard knock life after being forced to fend for himself. Portia’s desperation to get him accepted stems from a desire to make amends for her negligence in his upbringing. Her determination to ensure Jeremiah’s admittance to Princeton is restitution for her own rejection of him so long ago. Afterwards, Portia no longer needs all those other prospective young Princeton applicants to fill the aching need for a child of her own or her position to serve as buffer, keeping people out. Instead she realizes at the end how rejecting kid after kid, shattering their dreams and hopes for the future, is slowly killing her soul. For her, the exclusive Ivy League has become symptomatic of closing the iron door rather than opening yourself up to life’s possibilities. The admissions process has turned so sour to her way of thinking, losing her prestigious job doesn’t seem such a loss. She doesn’t mind giving it up in protest at Princeton’s admissions practices, turning her back on an institution that would presume to reject promising prospects based on strictly circumstantial assessments. Christened after one of Shakespeare’s most admirable heroines, ostensibly because of her intelligence, the name might just as easily characterize Portia’s quality of mercy. She makes an eloquent, passionately argued case for admitting Jeremiah on the basis of compassion, to prove that cold, faceless institutions of higher learning have a heart. According to her, universities like Princeton have to make room for such students, have to expand their limited and limiting policies in order to embrace a more diverse range of applicants. This critique of the injustice of the admissions process is Portia’s personal variation on the classic soliloquy in The Merchant of Venice (and Fey’s big tear-jerking showstopper), proving her fully worthy of her namesake. The reappearance of her son is supposed to have awakened Portia’s nascent humanity, her softer, more maternal, less competitive, career driven side. It also causes her to question her elitism and begin rubbing shoulders with the common folk. But we’re left unsure whether giving up everything to protest this one kid’s slight is really preferable in the long run to sticking it out and fighting for the rights of countless underprivileged, non-traditional students she could have helped usher in. We needed her on that wall. By abandoning her post in protest, standing up for a cause for the first time since she was an idealistic young activist, she’s leaving admissions in the hands of even more ruthless, close minded types like Corinne, against whom nobody has a prayer for leniency. In an America where the election of our first black president has made the democratic ideal seem potentially within reach, the last bastions of entrenched exclusionism such as the Ivy League make for easy targets. Never mind that political hopefuls must still attend such upscale universities themselves in order to be viewed as viable candidates for the ruling class. The ingrained belief that there’s something innately superior about Ivy League graduates continues to linger, but from what we’re shown brand name schools like Princeton aren’t offering scholarly stimulation so much as networking opportunities for the future business leaders of America. According to the movie, such universities are simply serving to consolidate power and privilege among the nation’s Top 400, and the way Karen Croner’s script congratulates itself, one would think this open admission were something truly revelatory. Jean Hanff Korelitz, author of the original novel Admission was taken from was married to a Princeton professor and had worked in the university’s Admissions Office herself, so one would be inclined to believe her to have some special insights to offer. Instead her story simply reinforces the populist perception of the Ivy League as a citadel of exclusionism that flies in the face of solid American values, as though the public at large had never before entertained the idea. The book might have been Korelitz’s way of assuaging her own guilty conscience over all those reject slips she’d dished out during the course of her career. The movie wants to serve as soothing balm to anyone who’s ever applied and not been accepted by ‘exposing’ Princeton’s screening practices as undemocratic. Yet, even given a more permissive schooling system like Pressman’s Quest school where no child is left behind, we wonder in light of the movie’s apparent message, why such stress is still placed on Jeremiah getting in. 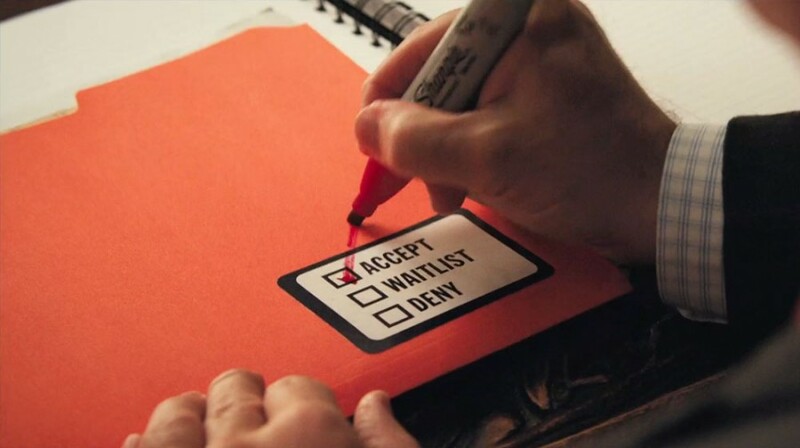 For instance, Admission questions Princeton’s narrow-minded screening processes then turns around and has the Portia character justify Jeremiah’s application based on his high SAT scores, when it could just as easily be argued that such standardized tests are slanted and skewered to weed out the freethinking, nontraditional students. Part of the problem with Admission is that it wants to have it both ways, telling us getting in isn’t everything while still making it appear imperative to get the best education possible (by getting into the best schools), for all the doors that will open up and the chances it will afford graduates to do good in the future. The dramatic conflict here is engendered by showing that Portia can only succeed at bettering her boy at the expense of lowering the school’s standards. Though the movie makes it seem as if slipping in one of the disadvantaged to give them the same opportunities in life as their more privileged peers is a blow for equality of the classes, in reality it’s simply serving to validate those assumptions that there’s something innately superior about the Ivy League. If Jeremiah were really as smart as everyone claims, one would think he would reject Princeton, same as Portia ultimately does. Instead the ungrateful interloper grabs his free ticket as if he were actually entitled. Admission might have been called passing, as in for something you aren’t. Exclusion would seem a necessary evil. If Princeton lowered its standards by relaxing requirements, so anyone who applied had an equal shot at getting in, it wouldn’t enjoy its standing as the (second) best school in the country. Nor would it be considered so prestigious to be admitted. I’m reminded of that old Groucho Marx line about not wanting to belong to a club that would have him for a member. And the movie is unlikely to deter any college-age applicants from aspiring to a competitively cutthroat Ivy League education. In fact, if the movie had targeted the right-aged audience demographic, it likely would’ve sent applications skyrocketing, the way Love Story did requests to Radcliffe. Portia explains more than once during her annual recruiting road trips that she’s not touring schools to tell her eager young audience how to get into Princeton, but from the plethora of sample applications the movie runs by us, it’s easy enough to gather our own idea concerning what it takes, what qualities the admissions board is looking for. And though the movie treats the Ivy League as a breeding ground of selectivity, from what we gather it’s not the privileged few who are accepted but the hard luck cases who have overcome major obstacles to succeed academically. The most imaginative scenes in the movie have these hopeful aspirants themselves appearing in the same surrealistic space as the admissions officers reviewing their files. In what can only be described as montage fantasies, Portia imagines the kids appearing before her larger than life as she peruses their applications. They’re the collegiate equivalent of those scenes in some movies where a variety of job candidates are whirled by to condense the humorous interview process, providing a shorthand sketch of the highly unlikely prospects the panel is dealing with. The rapid fire one shots give all these young applicants their fleeting moment of fame, and we get a colorful assortment, the full human spectrum. But if the Ivy League has not only made room for the down and outs, but have them forming the silent majority of the student body, one can’t help wondering what precisely the movie is railing against to begin with. 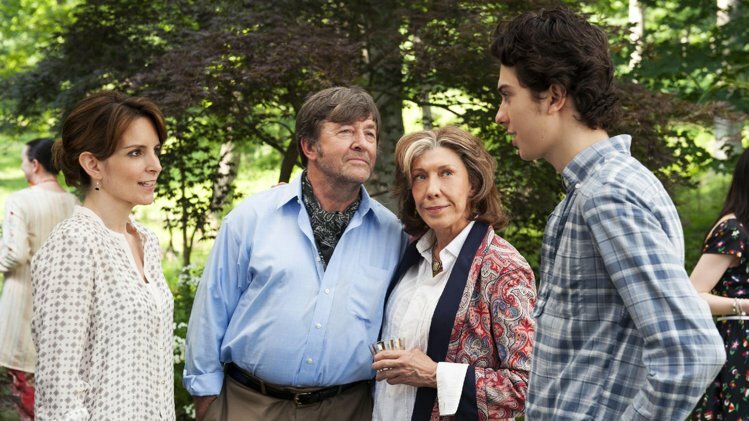 Apart from Lily Tomlin’s triumphal reemergence, the movie’s primary distinction is its star, who offers further evidence that the brightest talent in entertainment today is being fostered on TV. Fey rose to prominence on Saturday Night Live, same as Tomlin did Laugh In back in the 70’s, and seemed to hit her high water mark around the time she was winning Emmys as star of the NBC sitcom 30 Rock and impersonating Sarah Palin. Her consistently deepening and improving brand of screen comedy, from Baby Mama to Date Night and here in Admission, suggests she’s that rare, wild talent still possessing many hidden comic veins to be tapped. Fey usually flourishes her trademark horn rims with all the efficient aplomb of a school marm, and as a comic prop they complete her characters and lend them distinction. Glasses distinguish her among the ranks of clowns, the way they once did Harold Lloyd. So they’re sorely missed here, where they could’ve added to the overall air of intelligentsia. The actress shares many of the same self-effacing tics as Nat Wolff, who plays Jeremiah, so mother and son match up well. She’s a scream when she goes undercover in hoodie trying to pass for a co-ed to infiltrate that college mixer, spouting ludicrously unconvincing slang in an effort to seem hip. If she isn’t really Jeremiah’s mother, she might as well be the way she mortifies him in front of all his friends. 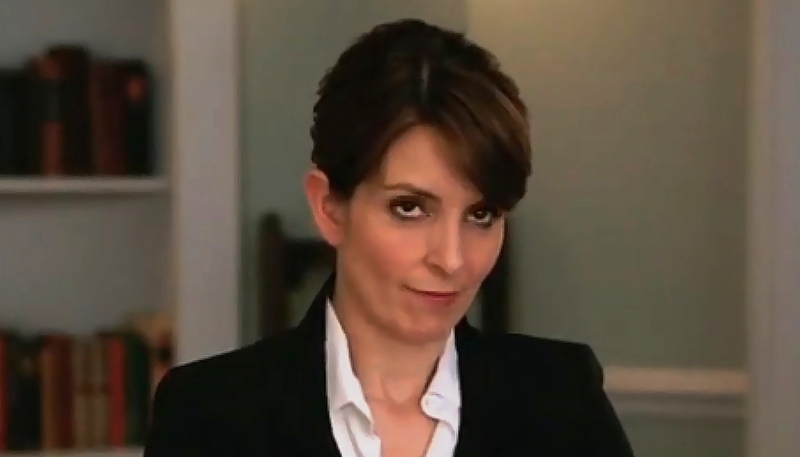 Fey plays self-effacingly funny and impassioned in a way few other actresses could manage. One minute she has viewers guffawing as she makes a fool of herself, waking up on a pile of applications at her desk having pulled an all-nighter like a freshman cramming for finals, ‘DENY’ insignias rubber stamped all over her face. The next minute she is ripping out their hearts and really making them care. She’s so uniquely gifted, she even makes the Princeton admissions board seem like heartless monsters for rejecting an applicant who really isn’t qualified. With her own long running stint on 30 Rock having come to a close Fey is, much like her character, in the market for a second career. Here’s hoping that Hollywood keeps its own forbidding gates swung wide, giving her more chances like this to bring great things to the movies. While Weitz’s satisfactory direction keeps the story moving at an efficiently clipped pace, the movie is powered by far too much cell phone static. In the early days of sound cinema, talkies that came to a dead stop so that characters could vent reams of dialogue while held in tight close up, were described as talking head movies. Well, with its endless reliance on cell phone chatter, Admission frequently becomes the modern day equivalent of a talking head movie, and we’re left feeling as we frequently do in real life, when we’re trapped in a small space with that loud, obnoxious person who won’t stop screaming into an iPhone at their invisible friend. Admission is also the modern day equivalent of those old stagy, dialogue bound drawing room comedies that unfolded in strained good taste. With its civilized humor and the sophisticated verbal barbs the characters employ to thrust and parry with one another, it comes across as an exceedingly polite comedy, the likes of which would appeal to the prissy sort of people Hollywood believes staff Ivy League schools like Princeton. All the same, Admission is a little comic gem with the saving grace of a good heart. It’s this sort of film that does romcom right. I don’t really believe in giving gold stars or throwing rotten tomatoes to rank my cinematic experiences because it seems a bit didactic to judge subjective art in such merciless fashion. Assigning letter grades likewise reduces movie going to a dry, academic exercise. In the spirit of Admission’s setting however, I’m inclined to respond a tad more scholastically, stamping its report card with a solid B+. This entry was posted in Comedy and tagged About a Boy 2000 movie, Admission 2013 movie, adoption, elitism, Gloria Reuben, Lily Tomlin, Michael Sheen, Nat Wolff, Paul Rudd, Paul Weitz, Princeton University, Tina Fey, Wallace Shawn. Bookmark the permalink.